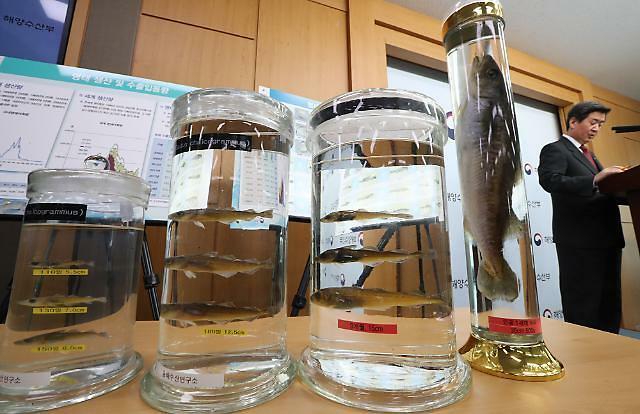 SEOUL -- South Korea will impose a complete and indefinite ban on catching Alaskan pollock (Pollack) in its territorial waters to recover the population of what has been regarded for centuries as soul food across the Korean peninsula. The Ministry of Oceans and Fisheries said in a statement Wednesday that a revised act, endorsed at a cabinet meeting on Tuesday, would be enforced on January 21. It prohibits the capturing of pollock regardless of size, throughout the year from January 1. Violators can get a jail term of up to two years and a fine of less than 20 million won ($17,850). 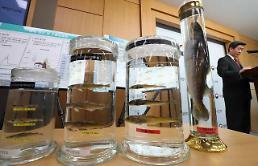 The ban will be lifted only when the population of pollock, called Myeongtae in Korea, recovers noticeably. For centuries, pollock has been an essential part of Korea's food culture, but the species has almost disappeared around the Korean peninsula due to global warming and overfishing. Thanks to imports from Japan and Russia, pollock is still consumed in South Korea. Myeongtae has been widely consumed across the Korean peninsula and every region has unique and different cooking methods. The most favorite dish is "Saengtae-Tang," a spicy soup cooked with pollock and vegetables. The fishing ground that stretches up north from the sea off South Korea's east coast to Russia's Okhotsk used to have plenty of pollock until the 1980s, but the population started dwindling rapidly in the 1990s. In recent years, there were too few pollock caught to be counted. South Korea launched a state project to increase the pollock population in 2014 by releasing fry and fingerlings into the sea. The government has also secured fertilized pollock eggs along with the development of farming technology that takes about 20 months to produce a mature fish for commercial use. Last year, the state-run National Institute of Fisheries Science mastered pollock-raising technologies for the first time in the world.